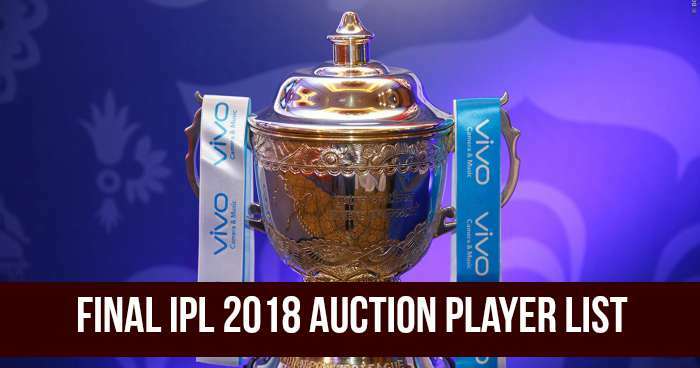 IPL (Indian Premier League) has announced the list of 578 players who will go to the IPL 2018 Auction. This list includes 360 Indians and 218 overseas players. There are 54 players from Australia, 42 players from South Africa, 34 from West Indies, 24 each from England and New Zealand, 18 from Sri Lanka, 10 from Afghanistan, 6 from Bangladesh, 3 from Zimbabwe and 1 each from Nepal, Canada and Ireland.